Posted on Wed, Apr 4, 2012 : 6:20 p.m. The Dream Nite Club, located on Fourth Avenue in downtown Ann Arbor, is in a fight for its life. The city was hit with a second lawsuit on Wednesday as the legal battle surrounding the club continues. A dispute between the Dream Nite Club and one of its attorneys led to acrimonious exchanges before Washtenaw County Judge Melinda Morris on Wednesday. Meanwhile, the city of Ann Arbor was served with a second lawsuit by Detroit-based attorney Roger Farinha, who is representing the club in another lawsuit against the city. Counting the city of Ann Arbor's lawsuit seeking to shut down the club, that makes three cases that are now in play as the Dream Nite Club's future hangs in the balance. Separately, the city is recommending the state not renew the club's liquor license. The newest case has been assigned to Judge Timothy Connors and Farinha is representing a client named Shafiq Kasham who allegedly loaned the Dream Nite Club $350,000 and is seeking to stop the non-renewal of the club's liquor license so he can be repaid. Farinha argues the city violated the law by not notifying Kasham of a recent hearing where the city decided to recommend to the state that the club's liquor license not be renewed. "He is pissed off, furious. He's tired of discrimination and the targeting of this business and he has a legitimate right to be," Farinha said, referring to Kasham as one of the club's creditors. "He's protecting his interests. He has a lien on the liquor license." Saline attorney David Shand, who had been defending the club in the lawsuit filed by the city of Ann Arbor, told Judge Morris on Wednesday the club owes him $6,550 in attorney fees. Shand said he hadn't been paid since October for his work on the case and he stopped charging for his work in February. The city's lawsuit claims the club is a public nuisance. 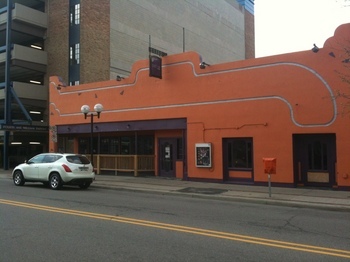 The city of Ann Arbor has been fighting to shut down the club on Fourth Avenue following a string of problems over the last year, including stabbings and at least one shooting. Shand said the club's owners approached him a few months about filing a federal lawsuit against the city and he refused, so the club got Farinha to file that complaint. Shand said the club's owners, Jeff Mangray and his son Vickash Mangray of Ypsilanti, then asked him to withdraw as defending counsel in the state court case because they wanted to instead go with Farinha, the club's attorney in the federal case. "I said that was fine, too, but you pay your bill," Shand said on Wednesday, adding he also wanted to be released from liability so the club couldn't sue him after walking away from the case. "I am not going to be next on their docket of people that they're lining up to sue," Shand told the judge on Wednesday, expressing fears that could actually happen. "The issue here, your honor, is we have people who have shown that they're very litigious." Farinha fired back at that point. "They are litigious," he told the judge. "They are going to fight, they are going to sue because they're fighting for their license and their business." Farinha told the judge his clients made previous offers to settle the pay matter with Shand but there was a dispute over the amount owed. "They refuse to be held hostage by Mr. Shand," he said. "I think holding the client hostage to pay the bills is not the right way to go forward." After a brief huddle outside in the hallway with the club's owners, Farinha returned to the court and said his clients would agree to pay Shand the $6,550. Shand told AnnArbor.com afterward he was happy. "I wanted a release and that was why we're here today, so I got what I wanted," he said. "It'll be an attorney's lien on the file and they'll pay what they owe." Farinha said his clients got what they wanted, too. "What we want to make sure is they are going forward with protecting their interests in every court that action has been brought," he said. City Attorney Stephen Postema appeared in court on Wednesday as an observer and was declined an opportunity to address the judge. He spoke with AnnArbor.com by phone later and confirmed the city was served with another lawsuit by Farinha but said he wasn't sure what to make of the complaint. Farinha said the problem with the city's original case against the club is that city officials have no evidence. "Nothing has been presented — no tickets, no citations — to support any nuisance abatement action," he said. "That's what they've been saying from the beginning. It shouldn't be this far." 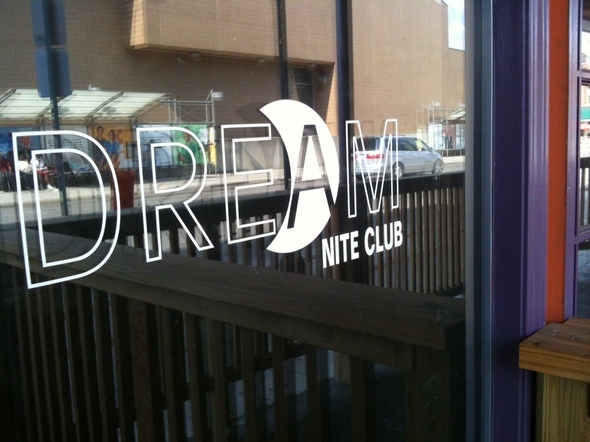 In a separate landlord-tenant dispute, an Ann Arbor judge last month gave the Dream Nite Club until Wednesday to pay $42,000 in rent owed to Dean Zahn Properties LLC or face eviction. Farinha declined to comment on the landlord-tenant dispute on Wednesday other than to say the Dream Nite Club's owners are actively working with the landlord on the matter. An attorney for the landlord could not be reached for comment. The city of Ann Arbor has been fighting to shut down the club on Fourth Avenue since last year following a string of problems, including stabbings and at least one shooting. The club's owners filed a $3 million lawsuit against the city in January, claiming city officials made false allegations of illegal activity at the business, subjected it to heightened scrutiny by police and harassed it because its owners and customers are racially diverse. Fri, Apr 6, 2012 : 1:36 a.m.
Looks like their community relations expertise is comparable to their ability to run a bar. Thu, Apr 5, 2012 : 4:30 p.m.
Dream Nite is being victimized by City Hall and circuit court shenanigans. Like the shutdown order without hearing that Connors and Postema pulled off in June of last year while David Shand was waiting outside the judge's office. I hope the city loses in federal court. Melinda Morris is retiring so she will be gone from the court by the year (good riddance). We won't be as lucky with Timothy Connors. Not a good sign when your own attorney describes you as overly litigious, not willing to pay your bills, and trying to line up as many lawsuits as possible. Thu, Apr 5, 2012 : 10:23 p.m.
Further if I were Shands former client I would file a complaint with the ethics commission of the Bar. Thu, Apr 5, 2012 : 7:42 p.m.
typo: he not her and good lawyer. sorry. to me the attorney's words sound more like her was out of his depth and honestly not a lawyer i would want if i ever need one myself. think about it: would you hire someone who disses his former employer? probably not. No doubt, one thing A2 is known for is racism. Not. The place is a public nuisance and it sounds like anybody doing business with the owners needs to proceed with extreme caution. Thu, Apr 5, 2012 : 12:15 p.m.
Let's all play the racist card again! It was so much better when Maude's was in that location. Thu, Apr 5, 2012 : 7:46 p.m.
i am white, fyi, and i believe the moves by the city to yank licenses from dream, rush and the black elks are socio economic and race oriented moves. further, i am not a diehard liberal and i vote republican. sometimes you really do need to look at the larger picture. Thu, Apr 5, 2012 : 9:02 a.m. I guess Shand isn't a &quot;winnah&quot; on this issue! Thu, Apr 5, 2012 : 2:07 a.m. Here is something you might not have expected to go on at DREAM. http://www.annarbor.com/faith/hundreds-flock-to-opening-night-at-the-greenroom----a-creative-new-spiritual-movement-launching-in-a/ ...and it's not breaking news. It's been happening since 2010. Thu, Apr 5, 2012 : 2:04 a.m. This is better than watching the fights outside the club! Pass the popcorn and the soda - it's gonna be a long battle. Thu, Apr 5, 2012 : 12:50 a.m. Although I dislike this club and would never go there, they don't do anything that doesn't happen at Scorekeepers, or the jug, or necto. The main difference is that this clubs clientele is mostly mixed race and from surrounding communities (ypsi/bellville). There is no difference in what goes on there, they all over serve, they all have problems with fights out front. Fri, Apr 6, 2012 : 8:24 a.m. Totally agree with Dennis and pbehjatnia on this one. Dream Night Club is simply being scrutinized because it attracts minority youth and is the local urban bar. It experiences the same issues as the other popular bars young people frequent in Ann Arbor and Ypsilanti. Unfortunately, the bad press for Dream Night Club is magnified by our media and some locals who have an agenda to get rid of a place like that in our town. Let's not forget the clubs that were there before, which experienced the same bad press; Studio 4, etc. To think that getting rid of this club would solve anything would be foolish. Young people come to downtown Ann Arbor to have fun at bars and clubs, and shutting down Dream Night Club will just result in the 'types' this club attracts going to other local bars and clubs. How about we bring back Maudes so it can attract some 40 somethings and go under again? Thu, Apr 5, 2012 : 10:20 p.m.
Thu, Apr 5, 2012 : 9:06 p.m.
Pbehjatnia, Live at PJ's routinely had a predominantly black crowd and it was never harassed. I find your assertion to be suspect. Thu, Apr 5, 2012 : 8:45 p.m.
@Jack - I've been in these clubs and bars. There are fights in all of them, it's just not reported in the paper. I used to go to necto every week and never saw a single fight that I witnessed reported in the paper. I would counter that the hear say you are basing your opinion on may not be correct. Thu, Apr 5, 2012 : 8:39 p.m.
@youwhine How can club owners control if someone has a gun in their car? They cant. The city sees the people who frequent the club as more likely to cause problems in the city. If the cops did the same thing on a traffic stop it would be recognized as blatant racial profiling, but if city council does it it's somehow okay? By the way, to all the people who talk about the race card, I'm white, I just happen to support individual liberty. Thu, Apr 5, 2012 : 8:31 p.m.
Dennis - The overserving is not the main issue here. It's the fights, stabbings, guns. I've heard of fights at necto, but not in a while. But not in the proportion that I've heard of problems at Dream. Your observations here are not correct. Thu, Apr 5, 2012 : 7:49 p.m.
@ pbehjatnia; The Black Elks is private &quot;members only&quot; club, not a public venue. That's why you have to sign in. It falls under a completely different set of laws because it is legally a private club. I'm sure zoning has a lot to do with it as well. Yeah, I totally hear multiple reports bout gunfire, large brawls outside, teenagers being sexually assulted inside, and calls for police assistance NIGHTLY at those other bars you mentioned. Thu, Apr 5, 2012 : 1:06 a.m.
exactly. that is what i have been saying here for three weeks. this is about socioeconomic and racial lines. ann arbor playing favorites - again. look at the minutes from the last city liquor control meeting. the city wants to recommend to the state for revocation of liquor licenses: dream nite club, rush and the black elks. the black elks specifically targeted because they don't think the elks should be able to have a crowd or line out front. but that same commission sees nothing wrong with the ridiculous line from the ark which regularly blocks the entire block of main street and would - in the event of an emergency- block a fire escape route basically for anyone inside of one of the buildings blocked on a regular basis by the ark line. not to mention that all of the blocked buildings have retail businesses in them which lose dollars every time the ark has a concert. or that the ark patrons are often intoxicated and obnoxious and have been known to cause property damage to the buildings they wait in front of. nope, that's all fine and good because the ark is a longstanding ann arbor arty fart place that attracts a fairly middle class crowd that is mostly majority not minority. Thu, Apr 5, 2012 : 12:41 a.m.
Who else is tired of hearing about this?..this place needs to go period. Thu, Apr 5, 2012 : 12:12 p.m.
Fri, Apr 6, 2012 : 1:46 a.m. Rectified how? That whole &quot;due process of law&quot; thing makes it hard to just shut a place down. Council can create city policy and to some extent law, but there are legal issues here that they can't just ignore. Listen to what Roadman says above--council doesn't have a lawsuit-proof magic wand they can wave. Thu, Apr 5, 2012 : 8:25 p.m.
And how is that, Halter? Wed, Apr 4, 2012 : 11:02 p.m. I believe serving a visibly intoxicated person in a bar is illegal. So, the incidents of crime and violence that happen off the premises don't in and of themselves constitute liability, but the serving of those people already drunk is. Thu, Apr 5, 2012 : 4:36 p.m.
What is &quot;visibly intoxicated&quot; can be argued in Court by witnesses and toxicologists, MR. That is the Dram Shop Act. Trouble is you don't typically have Breathalyzer evidence or videotapes and witnesses who may or may not recall events have to be relied upon to prove case. I have seen city attorneys go off half-cocked and wind up with a big lawsuit in trying toshutdown businesses without ironclad cases.